India To Impose Higher Tarrifs On $10.6 Billion Of US Imports In Response To Removal Of GSP Designation 4.3333333333333 out of 5 based on 6 ratings. 6 user reviews. India to possibly impose higher tariffs on 29 goods imported from the US at a value of $10.6 billion on April 1st. This would be a direct response to a recent US decision to withdraw duty benefits on $5.6 billion worth of exports from India by May. The reason for the duty benefits withdrawal were the trade barriers created by the Indian government, after negotiations for a trade package fell through. The Generalised System of Preferences (GSP) programme allows duty-free entry of 1,784 products from India into the US, benefitting exporters of textiles, engineering, gems and jewellery and chemical products. “India has implemented a wide array of trade barriers that create serious negative effects on United States commerce. Despite intensive engagement, India has failed to take the necessary steps to meet the GSP criterion,” the office of the United States Trade Representative said in a statement. In June 2018, India had decided to levy higher tariffs on products such as almonds, apples and phosphoric acid in retaliation to the US unilaterally raising customs duties on certain steel and aluminium products. The implementation of the move was withheld because there were talks on-going between the US and India for a trade package. “We are weighing all our options. The retaliatory tariffs may kick in either after the current deadline ends or before that. We are reserving our right to drag the US to the WTO (World Trade Organization) as the GSP (generalized system of preferences) withdrawal violates the principle of non-discrimination,” an anonymous Indian commerce ministry official said. US Commerce Secretary Wilbur Ross recently participated in Trade Policy Forum talks and also voiced concerns regarding new trade barriers created by India, hinting at the stringent e-commerce rules that have affected US companies, including Amazon.com Inc. and Flipkart owner Walmart Inc.
“The fact that India has a $22-billion trade surplus with the US is particularly annoying to the Trump administration,” Live Mint reported. In response, Indian Commerce Secretary Anup Wadhawan said that disproportionate demands from the US led to the collapse of talks, although India was ready to offer the US greater market access in agricultural products. Wadhawan said the US brought new issues to the negotiating table, apart from medical devices and dairy products on a “self-initiated basis.” These include issues related to: access for various agriculture, animal husbandry and, information and communications technology products, including mobile phones. “India was able to offer a very meaningful way forward on almost all the US requests. In a few instances, specific US requests were not found reasonable and doable at this time by the departments concerned, in light of public welfare concerns reflective of India’s developing country status and its national interest,” Wadhawan said. Wadhawan said the impact of the US action on India’s exports will not be very significant as the duty benefits are worth only $190 million on exports worth $5.6 billion. Turkey was the other beneficiary of the GSP that had its designation terminated. “The United States designated Turkey as a GSP beneficiary developing country in 1975. An increase in Gross National Income (GNI) per capita, declining poverty rates, and export diversification, by trading partner and by sector, are evidence of Turkey’s higher level of economic development,” the statement read. Ankara’s response was that the decision contradicted the US-Turkey $75 billion trade target. According to the Daily Sabah, the increase in US-Turkey trade volume that is currently $21 billion to $75 billion has been a center piece of recent phone conversations between Turkish President Recep Tayyip Erdoğan and U.S. President Donald Trump. 1/4 Following the monitoring process going on since last August, the US government officially declared that it will terminate GSP designations for Turkey and India. Meanwhile, the US-China trade talks to avoid any escalation in the trade war are on-going. The two sides are reportedly closing in on a deal to end the trade war that began in July 2018. According to reports, a trade deal could be signed by US President Donald Trump and Chinese President Xi Jinping during a planned meeting in Florida later in March. There must by now be enough independent sovereign countries to join together to collectively target US trade and crush the $US ….. what are they waiting for? The exceptionalist empire has overstretched, so PLEASE put them out of their (and everybody elses) misery ! The only challenge to the Americunts and their UK/Zionist poodles will come from China’s one belt initiative which the Americunts are trying to derail as Pakistan and Iran are major cogs in the project. It is time for Iran, Turkey, China and rest of Asia to come together. Not too sure about Russia as it is totally owned by Jews and Putin is crawling up his Americunt “partner”s arse. As an example of how the US/UK is trying to start a war between India and Pakistan read the Reuters story below. It seems the US has tasked a satellite to take hi-res pics of the alleged site India attacked, to show that they missed. That would embarrass the Indian Government and encourage them to attack Pakistan again. Exactly, this a was US, UK and Zionist project to start a major war on the subcontinent. Thanks to dumbass Modi and the pathetic Indian airforce the whole project was derailed. Modi and Nutter Yahoo are both morons and need to be dumped. Israeli “high precision” bombs missed actually (not the pilots). If they had exact GPS coordinates the only way “high precision” GPS guided bomb can “miss” is that declared precision threshold of would be “high precision” bomb was not exact to the declared one. I’ve read somewhere that India have bought even more of that Israeli crappy bombs just recently…..
Not really, the strike package was 12 Mirage 2000 and only one was able to enter Pak airspace as the rest fled. The only Mirage dumped its SPICE ordinance on pine trees near Balakot and fled.The Pakistani version of events has been truthful from get go. 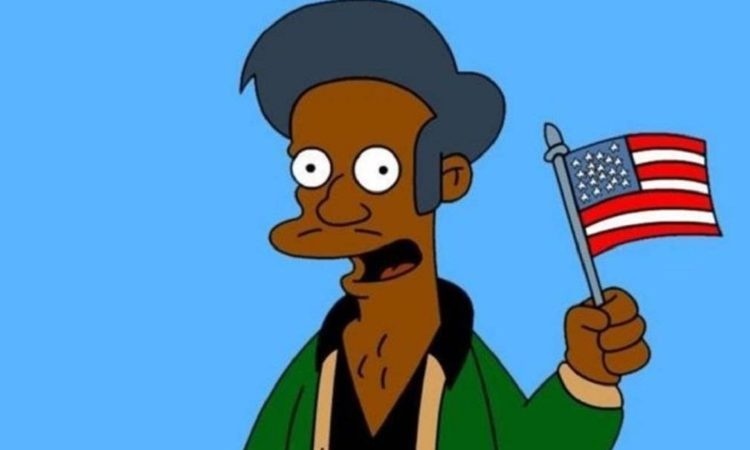 The Indians are idiots who thought that they pull a Zionist stunt. Pakistan is not Syria and the PAF was waiting with CAP patrols. Most Pakistani forward airbases are less than 5 minute vector time to the border and LOC. Their main PAF base at Sargodha has excellent BVR 400 knots coverage from Jauharabad radar station. The Indian strike package out of Adampur was picked up as soon as they took off and the rest is history. JF-17 Thunder is really an uprated Chengdu J-7 air-frame – aka a Chinese licensed MiG-21 – albeit with some major design cues from F-16. It’s main virtue is its price. Indeed, it is cheaper and a more effective platform than the J-7 Airguard. It also has a suite of western modern avionics. Pakistan wanted a cheap, easy to maintain and effective fighter for point defence as their airbases are very close to the border and they have in the JF-17 which came out tops. 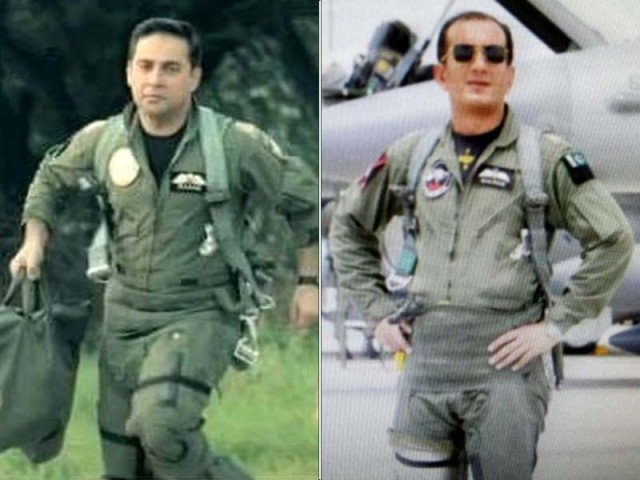 Pakistan provides and names and details of 2 aces who shot down IAF Mig 21 and Sukhoi 30 MKI. and the situation has now been diffused. 27,” Foreign Minister Shah Mehmood Qureshi told parliament Wednesday. Nauman Ali Khan, saying he wanted to “pay tribute” to them both. has become an overnight internet sensation. The truth of the matter is that India has been kissing US, Zionist and UK arse without shame for over 70 years now. India has shafted Iran in oil deals, stalled in Chah Bahar port projects and backstabbed diplomatically. Iran would be far better off with Pakistan with whom it shares historical, linguistic and cultural ties. The Shah had even proposed a confederation with Pakistan. If Iran had a proper FM instead of the drama queen Zarif, this is time for all Asian nations to improve their ties and dump the Americunt warmongers. Also a lesson that kissing Americunt arse only makes matters worse as no one like groveling coolies. India should improve ties with China and stop crawling up Zionist arse as it is a dead end loser stakes. Yes, elements of Pak military are trained in US and controlled by Zionists, but the influence is now deteriorating as Pakistan is slowly changing its foreign and defence policies. Pakistan has refused to fight in Yemen and it said that even after the Saudi pig MBS left for India. Pakistan is not that happy with the Saudis either. If Iran had a proper FM than the drama queen Zarif, this is a good time for Iran to build bridges with a brotherly nation. Pakistan has the largest Shia population after Iran and most Pakistanis are well disposed towards Iran. The US puts tariffs on the whole world it is time that the rest of the world cuts them out of commercial exchanges.